It is said that Czech is the new Italy and it seems this certainly holds true when looking at these gorgeous little stand mount speakers. 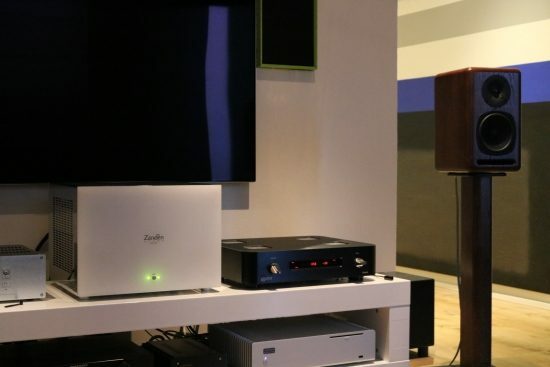 They have a styling unique for the Xavian brand but they also bear some resemblance to those well-known Italian speakers by the name of Sonus Faber. 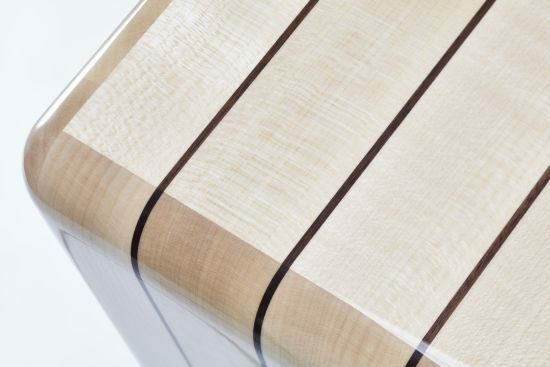 Franco Serblin, for the longest time the owner of and designer for Sonus Faber, used solid wood to build his speakers, rather than MDF with a layer of veneer. These Xavians are no different: they use what the company refers to as Mosaik, comprised of interweaving pieces of solid Italian Oakwood and no MDF is used. Incidentally, Xavian’s owner Roberto Barletta, is actually an Italian, living in Prague in the Czech Republic. Ahhh, now it all makes sense! While the Perla Esclusiva’s have their own personality, there are actually some similarities with comparably-sized classic Sonus Fabers, mainly in terms of the naturalness of timbre and overall realism and, more specifically, the Perla Esclusiva’s remind me of the Franco Serblin Accordo’s. 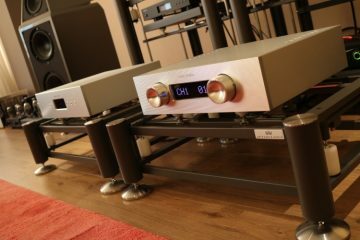 Of course, they’re not equal to the 8800 euro Accordo’s in build quality, the luxury of appearance or in sound but they come a heck of a lot closer than they have a right to given their modest price tags. 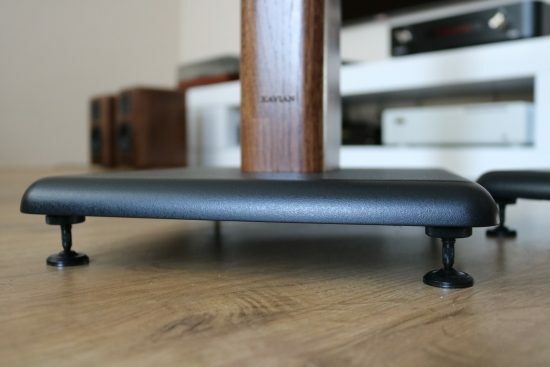 The speakers come with grilles that very cleverly connect via invisible magnets. The Perla Esclusiva as reviewed here is an updated version of the original Perla. 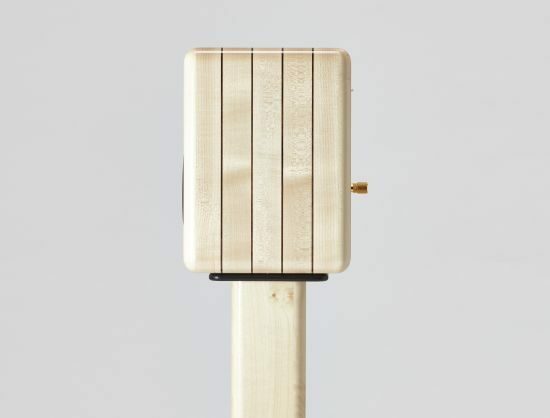 Changes include the use of a more rigid Oakwood rather than Walnut, new, bigger terminals, updated crossover now using Mundorf capacitors to make the speaker sound considerably better as well as allowing further fine-tuning to make the speaker dig a little bit deeper in the bass. 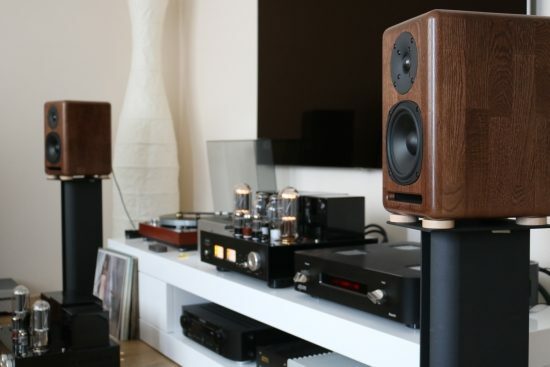 The speaker units are both manufactured under the AudioBarletta brand in Italy and designed in Prague by Xavian. These are no “stock” products. 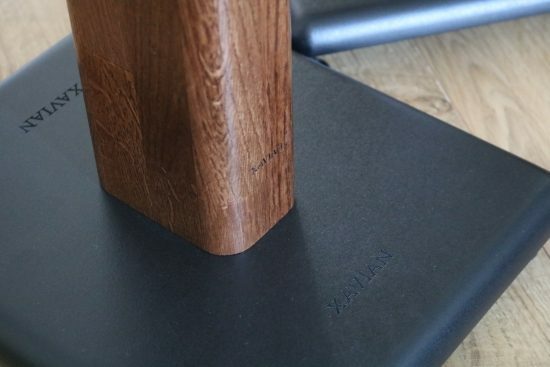 The optional stands’ uprights are also made from solid Oak wood, the two platforms are beautifully machined out of MDF. 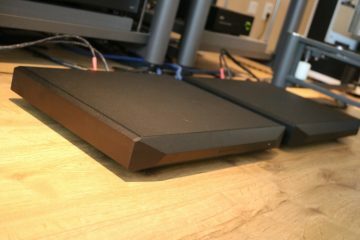 The speakers can be screwed to the stands to make for the best sound as well as to prevent them accidentally being pushed off. Spikes and large nuts are supplied as standard. The Perla Esclusiva’s are part of the Xavian Natura range. Like for all their speakers, Xavian aims to maximize the naturalness, with a special focus on vocals and acoustic instruments. It is their firm belief that the harmony of music is what counts most. As it would turn out, this does not mean that these speakers only excel with intimate music, on the contrary: they definitely know how to rock! Right from the start, the Perla Esclusiva’s sounded full-bodied and surprisingly sonorous. They produce way more powerful bass than I expected! Also right from the start, their treble was sweet and refined with no hardness, let alone harshness, ever. 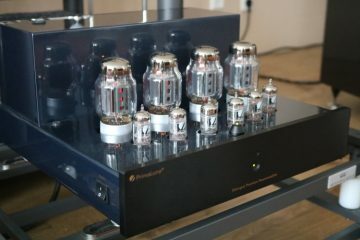 The first amp I tried was the Line Magnetic LM-805IA because it had impressed me so much with the Wilsons and even more so with the Gustavson LS-Ones. This is a Single Ended Triode amp that with 48 watts is quite powerful for its breed. However, it should be noted that SET amps are not usually known for their bass control, dynamics or power. They should be used with very efficient speakers. The Perla Esclusiva’s nominal 8-ohm rating suggests an easy load and their 88dB sensitivity is better than average but going from my tests, they like to be fed a healthy dose of power. The Wilson Watt/Puppy 8’s with their 92dB rating that I use in the main listening room, for example, are more efficient. With transistors, this not at all something to be worried about but with tubes and with Single Ended Triode tubes especially, those 4 dB’s can be a deciding factor. With this amp, the Xavians produced a richly colorful and highly sensuous sound with sweet, airy treble and they certainly showcased their midrange purity but altogether the sound was a bit too rounded and not really propulsive, the dynamic behavior just a little bit too reticent to make for a true toe-tapping delivery. Little did I know what supremely rhythmic performers these speakers would prove to be when driven with a more powerful amp! At this time, the more powerful Push-Pull Line Magnetic amps had returned to the shop so alas I could not give these a go. But of course, I also have an unassuming little black box that happens to be one of the very best Class D amps that I have heard: the NuPrime ST-10. Swapping the 48-watt class A tubes for the 150-watt class D NuPrime ST-10, made for a huge transformation in sound and not at all in the direction that one might assume! Instead of seductive, liquid and charming yet restrained the sound was now enormously dynamic and incisive, with foot-tapping bass and an overall sense of listening to a live performance. 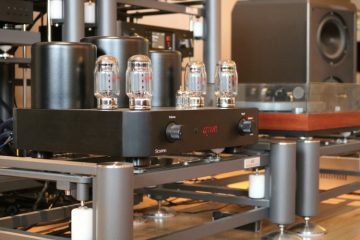 Of course, I knew that the NuPrime is one heck of a little amplifier but even I did not expect such amazing synergy. Earlier comparisons with this amp have shown that it has some pretty amazing qualities for a transistor amp in generic and for a Class-D amp especially but with the Xavians it clearly forms a particularly synergistic match! For starters, the Perla Esclusiva’s now produced a bass that was extraordinarily solid and bouncy and not just given the small speaker enclosures. Were these speakers 1 size up then I still would have been amazed at the quality of their bass. There is no boom or boxiness, just natural, powerful, articulate and fast bass that marries seamlessly with an equally sonorous midrange that, again, shows no signs of boxiness or other colorations. 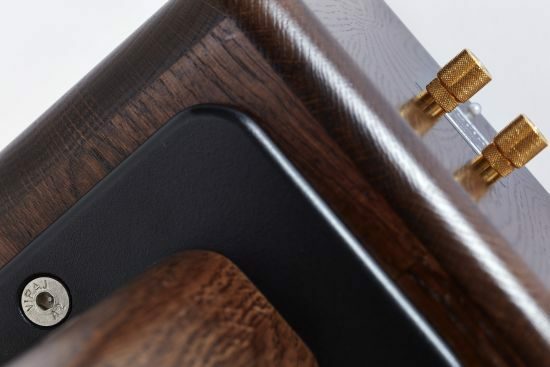 Regular readers will know that the NuPrime is master of bass, the fullness of timbre, and dynamics, but it is no Jeff Rowland, CH Precision or Line Magnetic in the treble or in terms of overall refinement. Indeed, the NuPrime does not have the liquidity of midrange that tubes do so well or the tangibility that SETs excel in but the sound was so bold and so colorful and just so captivating that I soon forgot about this again and just enjoyed the utterly engaging delivery. Oh, and these speakers go seriously loud, too! I don’t know how the little woofer can cope but honestly, I have not yet found their limits in loudness. They also are very coherent, with no strange phase issues in the all-important midrange, the two drivers blending seamlessly. 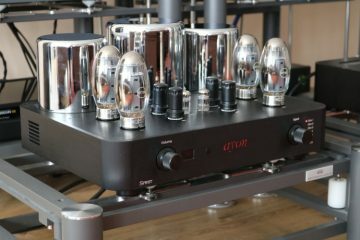 Amidst the bunch of Line Magnetic amplifiers flooding my review systems, I’d almost forget all about the tube amp that got me on board (of the tube-ship, I guess) in the first place. The PrimaLuna DiaLogue Premium is a class A/B Push-Pull EL34 amp of very modest power (only 20 watts in Triode mode) but it has proven to be very stable, confidently driving every speaker that I tried so far, except for Martin Logans, due to their extremely low impedance in the treble. And indeed, it also drives the Perla Esclusiva’s with gusto. With this amp, the Perla Esclusiva’s produced a sweeter and more romantic sound with a lusher midrange which makes vocals more sultry and seductive, especially with soul music. importantly, with this tube amp, the speakers still produced big, powerful bass and although now less enthusiastic, they were still quite lively and dynamic, meaning that while the Perla’s are not ideal for mating with SET amps, many Push-Pull tube amps should work perfectly. Rhythmically the sound was sure-footed but it’s not quite as nimble and foot-tapping-inducing as the NuPrime. This is not a knock against the PrimaLuna but the NuPrime is simply a champ in terms of speed, dynamics, and liveliness, beating even ultra-expensive amps in these areas. At this moment, I also have a Zanden combination on a visit for another review. At almost 22.000 euro for the 8120 amp alone, it’s an unlikely combination to make but I just couldn’t resist having a go with the Xavian Perla Esclusiva’s. If anything, this will show what they’re capable of when driven with what are claimed to be the best tube amps in the world. Sure, that’s a subjective statement, no single amp will please everyone but I can confirm that the 8120 really is something special. The Zanden 8120 is a class A/B 100-watt Push-Pull amp using 4 KT120 tubes. 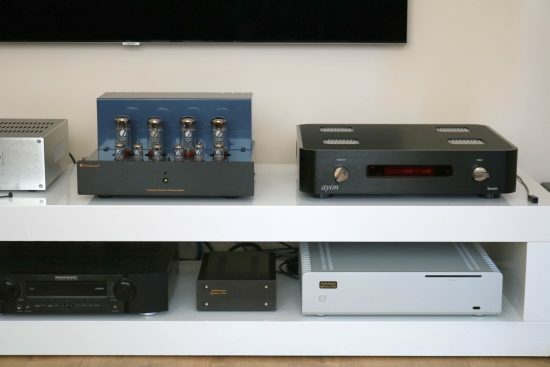 Substituting the PrimaLuna for the Zanden 8120 while retaining the Ayon Stealth preamp and DAC it took no more than a few bars of music to realize that this amp really pushed the Perla Esclusiva’s considerably further. The soundstage became wider but also deeper, voices and other centrally placed sounds were more clearly discernable yet also more free-floating and the midrange textures were richer in harmonics and more emotion-inducing. Interestingly, in spite of the extra fluidity and richness, the sound had not slowed down. In fact, transient snap, bass control, overall speed had improved, almost to the point that PRAT was similar to what the NuPrime was capable of. Ok, the Zanden does not have all of the NuPrime’s slam and power but it does not have any signs of hysteresis, none of the typical syrupy thickness in the bass that plagues many tube designs. 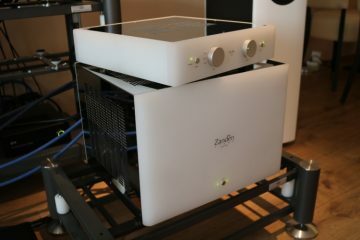 Indeed, the Zanden bass performance as a whole is on par with the best solid-state amplifiers that I know, combined with tube magic beating the best I’ve heard from Push-Pull tube amps, even bordering on what SET can do (with very efficient speakers). 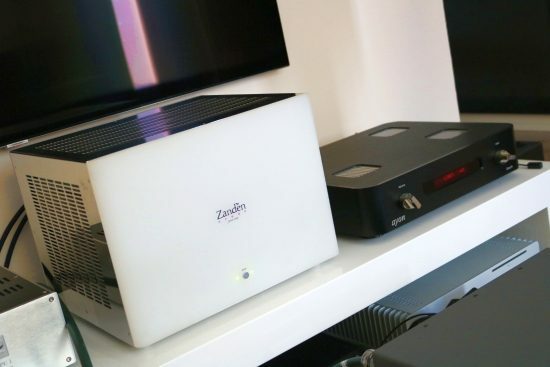 I could go on about the Zanden but will do that in the Zanden review. The point is that the Perla’s are not a limiting factor here. Arguably their strongest suit, conveying emotion, is now brought forward even more, the speakers making music in a way that makes you slip into the performance and forget about time. …but I find the Marina scheme absolutely the most beautiful. This really is getting very close to the lavish finish of the aforementioned Italian speakers! The Perla Esclusiva’s never add any roughness of their own, absolutely Never! Their tweeters are blended in such that they never attract attention to themselves. 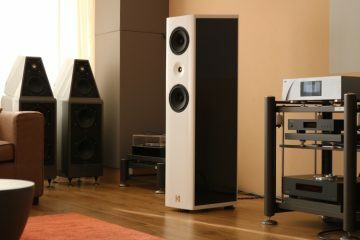 Compared to the Wilson Watt/Puppies, or the B&W DM 601’s for example, the Perla Esclusiva’s sound a little darker and less explicit. But although I have personally always been a fan of B&W’s Nautilus range, these days I can also agree that perhaps the B&W’s have a little bit too much treble or at least it can seem that way. Actually, thinking of B&W some more, I remember feeling the same way about the first iteration of their Diamond tweeters. I was so used to the typical Nautilus aluminum tweeters and their more forward nature that I found the Diamond successors to sound a little recessed. One quickly adjusts to this, though, and after a couple of listening sessions, I actually find that Perla’s to sound very finely balanced and not dark per se. Importantly, all the treble energy and air is still there, just not highlighted, overlaid or forward in any way. In a direct comparison with the DM601’s, the latter have more treble energy and perhaps because of this they seem more detailed and articulate but they also sound a lot less natural, with a distinct “processed” or “electronic” character. The B&W’s work well enough with Electronic music and R&B but don’t sound convincing at all when reproducing acoustic instruments or vocals. And this is where the Perla’s excel. Seeing the Perla Esclusiva’s side by side with the Gustavsons they appear truly tiny! 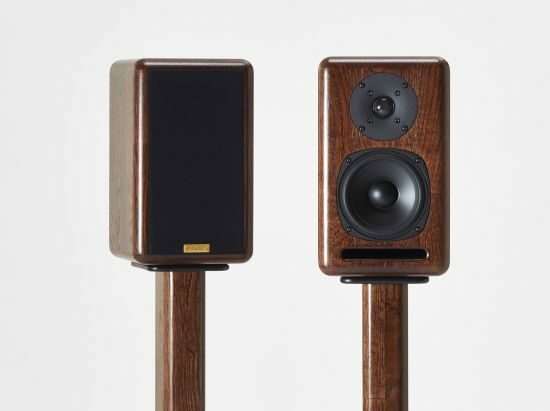 The Gustavson LS-Ones are much, much bigger speakers and of course, they produce sound on a bigger scale: they sound larger, go deeper in the bass and are more enveloping in their soundstage. I really like the Gustavsons but they’re not as universally applicable as I’d like. 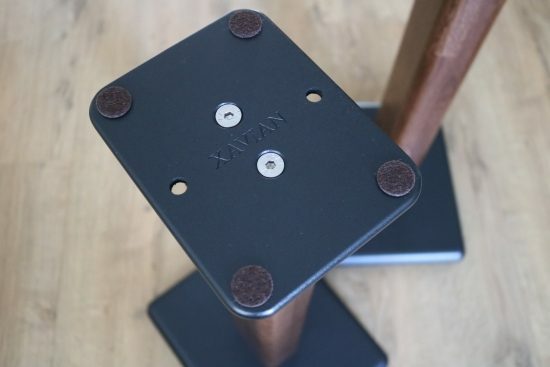 Specifically, they are not as punchy or as rhythmically assured as the Xavians, meaning that they work brilliantly with acoustical instruments but are not so great with R&B or other music where the (rhythm in the) bass is the main driving factor. Where the Gustavsons wow the listener with free-flowing vocals and instruments and room-filling soundstaging, the Xavians are masters of rhythm and dynamics and they never fail to induce an inescapable foot-tapping urge. You might not think it based on their small dimensions but they are really incredibly good with funk and R&B. And yet, they also convey acoustical instruments very naturally and convincingly. They are physically small but in terms of bass, you wouldn’t know this until you start comparing them with much bigger speakers directly. They only sound small in terms of vertical soundstage. Otherwise, they have generous imaging capabilities. 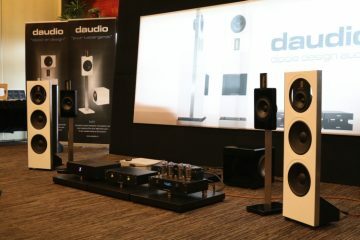 Especially horizontally, they can be room-filling and with the right amp, also in the depth plane. The Perla Esclusiva’s are specified to produce 55 – 20000 Hz (-3dB on reference axis) but honestly they sound as if they reach deeper. They don’t of course – really low notes from electronic instruments such as they appear in Dub-Techno fall off indeed at a certain point and this is something that will be evident when comparing with bigger speakers such as the Wilsons or Gustavsons. The beauty of the Perlas’ design is that the designers, in their quest to obtain the most natural sound they can within the budget, have refrained from giving the speakers a low-bass-faking hump in the midbass. What bass they have is utterly coherent, nimble and natural. And what helps, of course, is to make use of a room’s boundary reinforcement. In other words, to place the speakers such that they benefit from room-induced bass reinforcement. In my case, they are relatively close to the front wall and the listening position is close to the rear wall and this works really well. 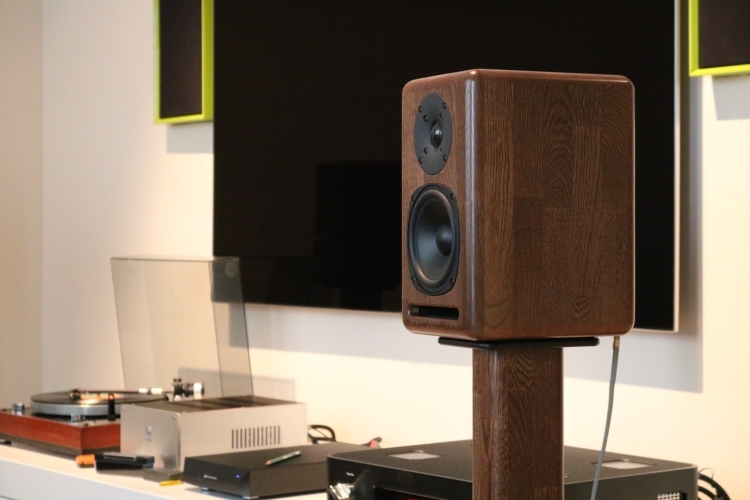 Even when listening from the other room, the realism with which these speakers reproduce music was really evident, due to their natural timbre and also because there was no dynamic compression whatsoever. Notice the subtle reference to their name? Indeed, there’s a pearl embedded into the speakers’ rear panels. No matter what amp is used, the Xavians have great rhythm and they sound incredibly lively – these are punchy little rascals! They never fail to produce an infectious foot-tapping sound. But they’re also smooth, natural, pure and decidedly non-fatiguing, even when playing seriously loud. The Perla Esclusiva’s have no obvious colorations, cabinet-induced or otherwise, but whereas with some speakers this can lead to bland, thin or overly analytical sound, here it translates into an utterly believable, pure and natural sound. Vocals, in particular, are highly realistic. They work well with tube amps and transistor amps alike, allowing to tweak the sound from powerful and dynamic to lush and sweet. These are no magnifying glasses so if it’s analytical precision that you’re after, look elsewhere. 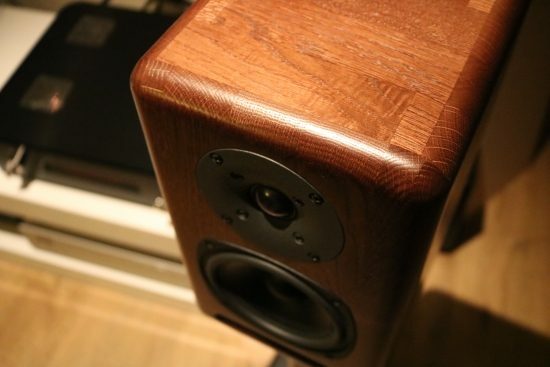 Otherwise, these speakers are simply marvelous. 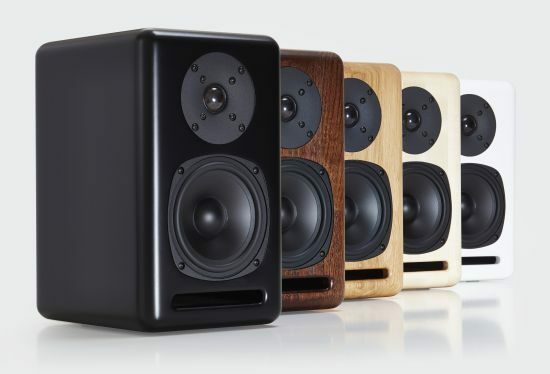 If it’s the soul of the music that moves you and you value PRAT, timbre, dynamics and a realistic portrayal of instruments, then I can think of no other speaker that I would value higher in this price range. The Perla Esclusiva’s really are immensely enjoyable speakers and they come highly recommended. Nice review. This looks like an interesting product offering good performance at a reasonable price. Do you have any experience of the Harbeth P3ESR, which is in a similar price range, and can comment on how the two compare? So far, I’ve only heard Harbeth speakers at shows, not in my own systems and the models I heard are limited to the Super HL5 Plus and the M40.2. 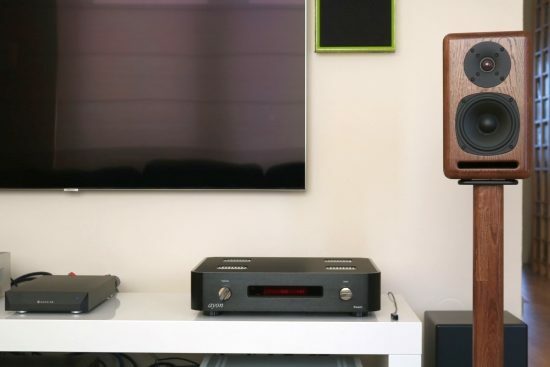 As such I can’t make proper comparisons between the brands in general and certainly not with respect to the P3ESR but I will say that the Harbeth signature sound seems to be softer, gentler and more relaxed than that of the Xavians, judging by what I heard from the Perla’s. The latter are typically more upbeat and more forceful in their delivery while also being very natural. 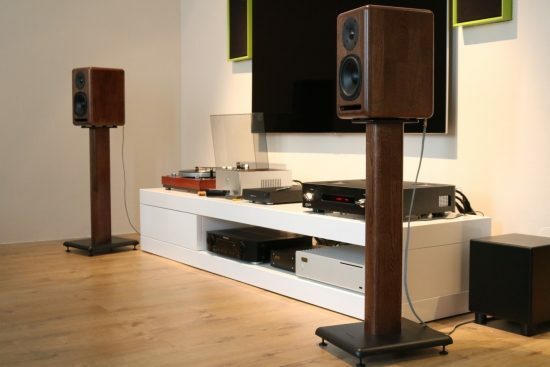 did you have the chance to listen to the new generation of active speakers, like Genelec 8331/8341/8351 with digital crossover and room correction, or the large Dutch&Dutch 8C?. I’m especially interested in the Genelecs, because they are cheaper. They are 3-way and seemingly are fantastic for near field (many people just have small rooms). They look amazing, and people at professional forums like gearslutz are delighted by them. 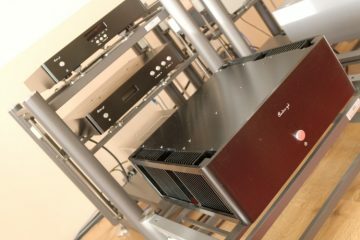 The things is, they are not even considered in the classic audiophile communities, because in theory their internal DA conversion ‘supposely’ screws up any external high-end DAC. This might be true or not, but for a very high tech company such as Genelec with heavy investment in R&D I don’t doubt they offer a near perfect integration amp+drivers with flat response. 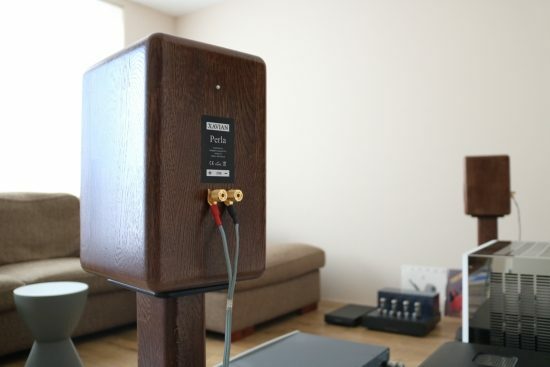 I’m used to read in the audiophile forums that active speakers are not musical, but I really doubt mastering professionals that use them love stuff that does not convey emotions. Bottom line: It would be great if you could do a review of these speakers. If you do a search on this site, you’ll see that I have owned Genelec 8050’s not too long ago and I value them quite highly. However, the main thing with these speakers is not crossover precision or tech specs but their timbre. I find that more regular speakers usually sound more natural. The Xavians are a good example of this. While they certainly don’t go as deep in the bass, their midrange and overall texture of instruments is much more convincing. With respect to your question re digital crossovers: I attended a 1234SAM demo in Munich and was very much impressed. These speakers were most certainly highly musical. While I’ve always felt that it is important to get the best external DAC you can (CH C1 is my current reference), I have also often been surprised at the quality of built-in DACs, for instance the DAC board of an Accuphase E-260 or the DAC built into Devialet amps, to name just two. My point is that integral solutions can work out better than the sum of parts would suggest. The implementation is key. If you have more to comment on the subject of active speakers, please find a Genelec article and post it there. Is a devialet 120 a good match for these xavians? While I don’t have the 120 anymore to test now I would think that it will match very well indeed, best with older firmware (see my Devialet firmware review) but given that the speakers are never ever harsh, recent firmware might also give good results.